The 32-year-old entrepreneur is a real stroke of luck for the game industry. Jade Rymond knows what’s up, she is very eloquent and she looks great. That all is quite an advantage in an industry whose leading minds do not much to contradict the common prejudice to live between empty pizza boxes, cables and computers. Raymond on the other hand demonstrates, that video games are today something perfectly normal for totally ordinary people and thus she turned into the first female superstar of the whole game scene. Now Raymond made it on the Cover of the German SPIEGEL and the editors spent almost two double-pages on her success story. 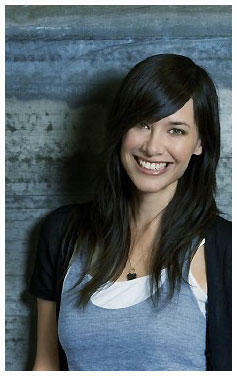 Jade Raymond was born in Montreal Canada and she is currently the producer of the highly anticipated title Assassins Creed, one of the most buzzed-about titles of 2007. 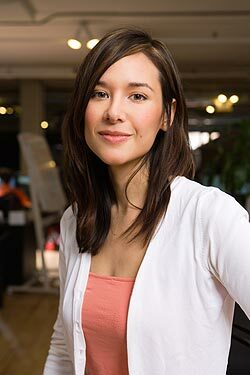 As a video game producer, she is in charge of overseeing the development of the game regarding the creative and technical development of the game as well as maintaining schedules and budgets at Ubisoft Montreal Studio. She is also acting as a liaison between the development staff and the publisher or executive staff insuring the game will be delivered in time. DIGG IT!